Good morning everyone! 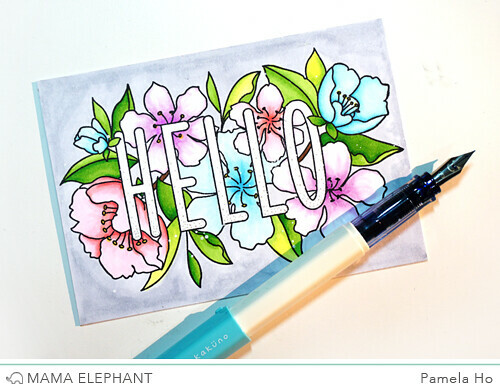 This is Pamela and I'm back on Mama Elephant's blog for a project using the gorgeous Botanic Hello. 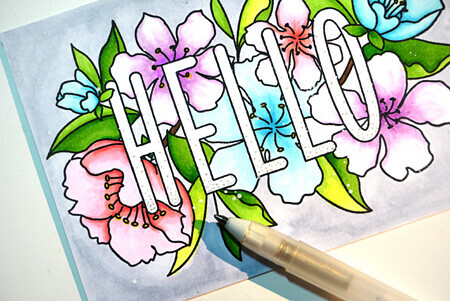 I just love colouring the flowers of this stamp set! 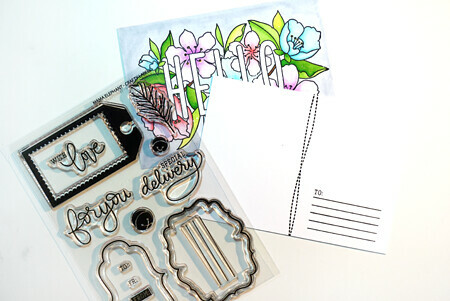 This stamp set is awesome when you're in need of some simple postcards. I love creating postcards these days because I don't need to make any envelopes for them. 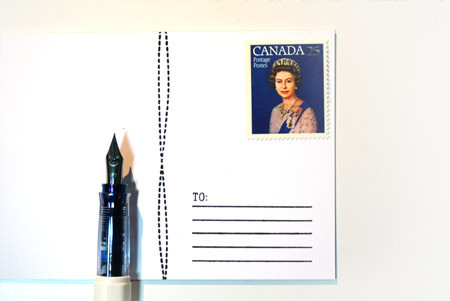 All I need to do is to write a simple message stick a stamp in the corner and mail it out! Plus it gives the mailman/lady some eye candy too :) I started by stamping out the large stamp set on a piece of cardstock and coloured it in with copics. Since I'm using copics for colours and it bleeds through my cardstock, I created 2 pieces of cardstock at the same size and I simply adhere them together so you can't see the bleeding. Plus it's more sturdy this way! 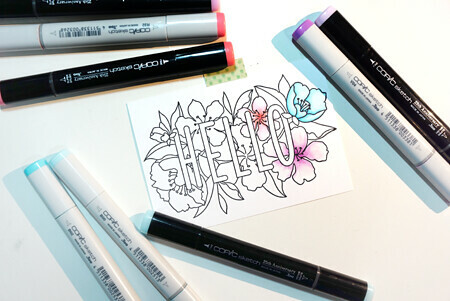 I added some sparkles to the word "hello", with more sparkles at the bottom of the letters and gradually spacing them apart at the top. The back of the postcard was decorated using the stitched line from the stamp set as well as Crafty Labels for the lines. And there you have it! A simple yet stunning postcard for your recipient. The mailman/lady will certainly enjoy delivering this! I love the idea of single layer postcards. Thanks for sharing.